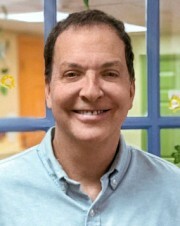 Fred Friedman, DDS received his dental degree from Emory University Dental School in Atlanta, GA and received his certificate in orthodontics from New York University, New York, NY. Previous to joining the Family Dental Group practice, Dr. Friedman has maintained his own successful private practice. Dr. Friedman is a member of the American Association of Orthodontists, the American Dental Association, the Ninth District Dental Association of New York, and the Northeastern Society of Orthodontists. Dr. Friedman specializes in orthodontic treatment for growing children and adults, including but not limited to traditional metal braces, clear (ceramic braces), and Invisalign for teens and adults.